Everex Targeting the Eee PC With the New "Cloudbook"
It appears that Everex, the same company that sent Wal-Mart shoppers into a tizzy of values with its Linux-based gPC , now has its sites set on the Asus Eee PC with a new ultra-portable dubbed the "Cloudbook." 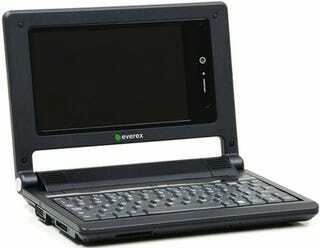 The device will feature a 7-inch screen and the same Linux gOS found in the gPC. A 1.3 megapixel webcam is also rumored to come standard. Additional image and info after the break.